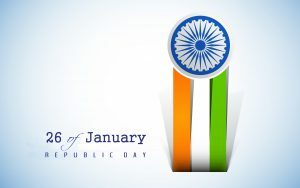 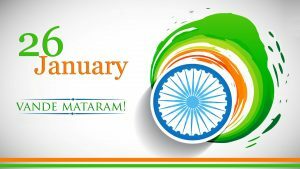 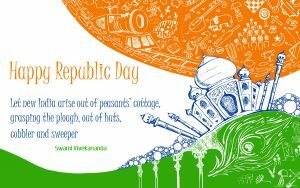 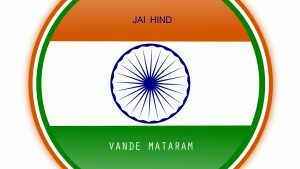 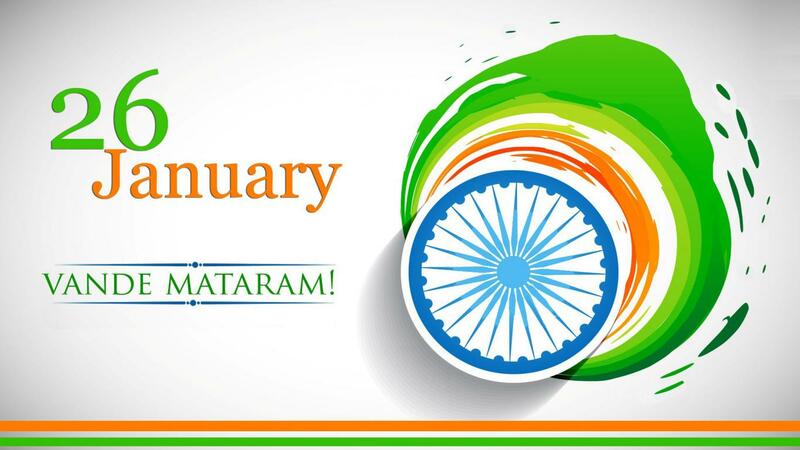 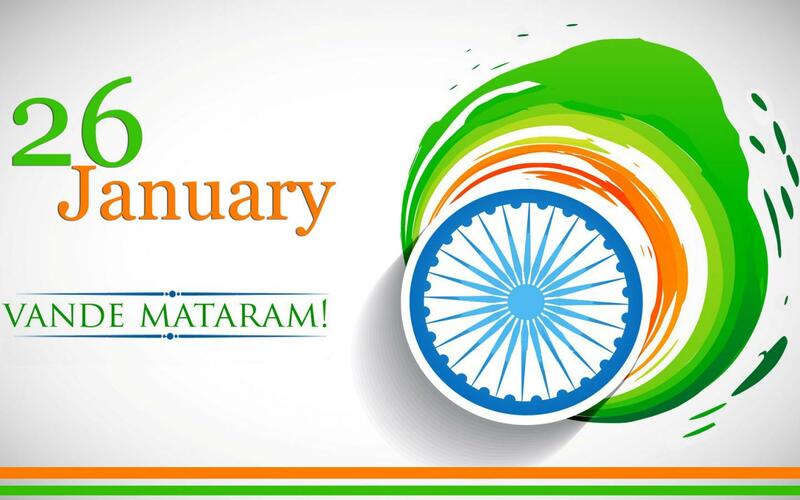 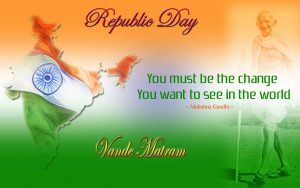 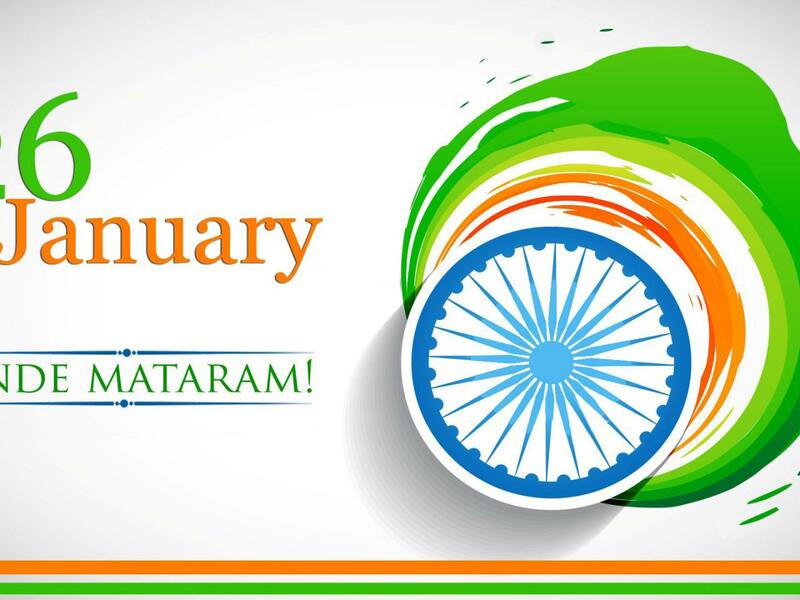 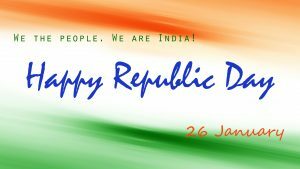 This is one of my best collection of Republic Day wallpaper with the text of Vande Mataram. 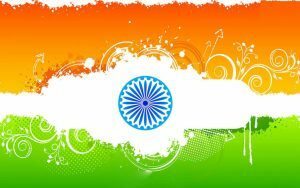 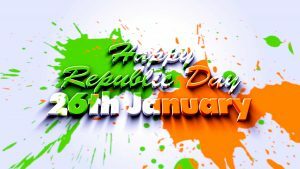 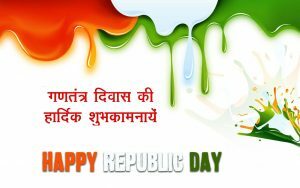 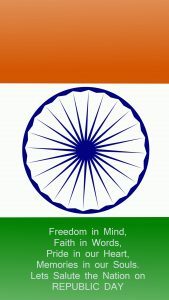 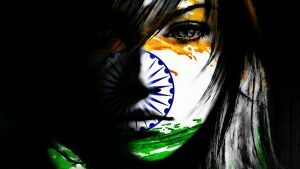 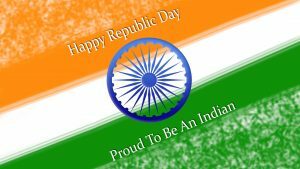 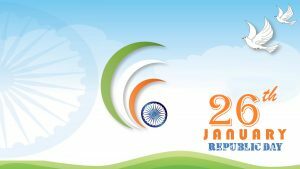 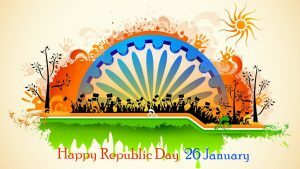 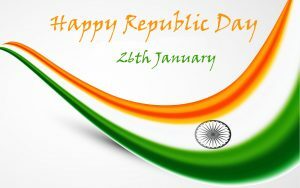 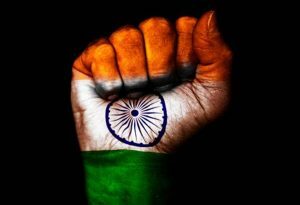 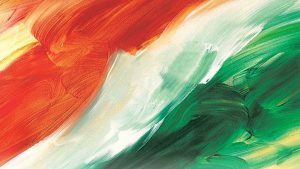 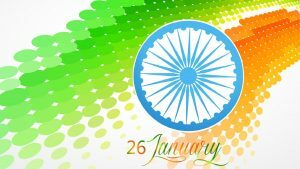 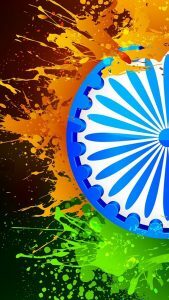 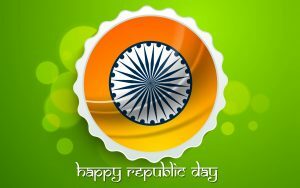 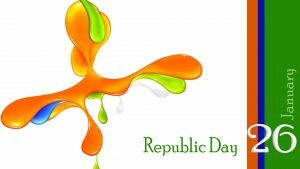 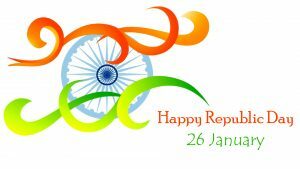 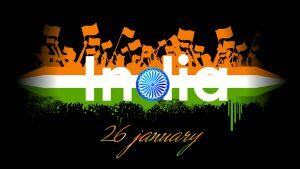 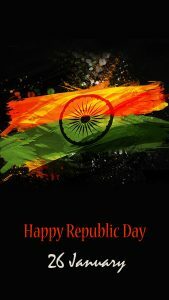 It’s a Tiranga wallpaper which especially designed for Indian Republic Day moment. 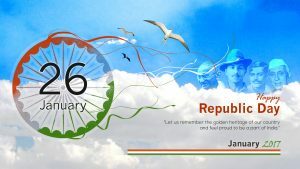 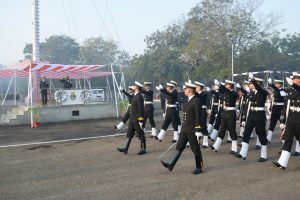 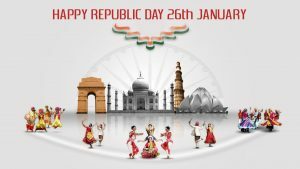 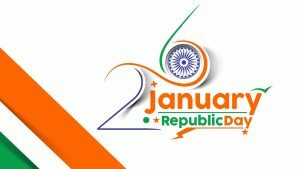 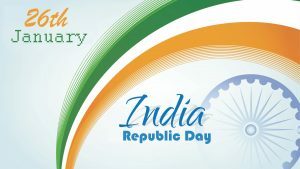 At the left side, there is a text of 26 January, a date of Republic Day. 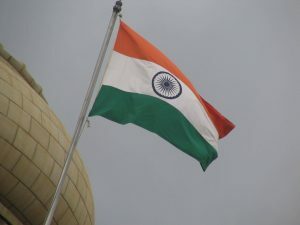 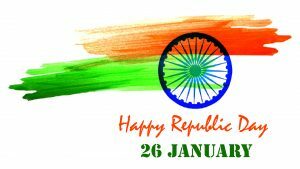 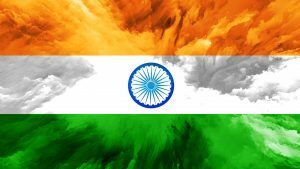 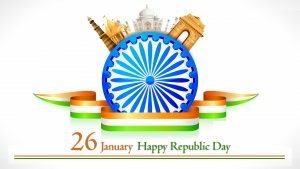 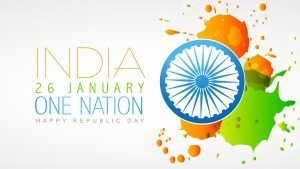 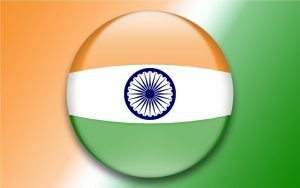 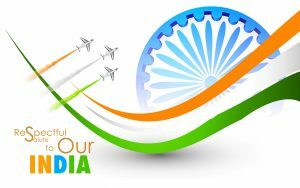 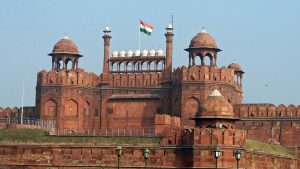 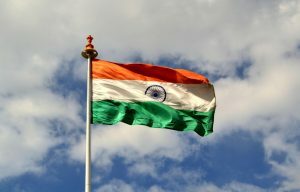 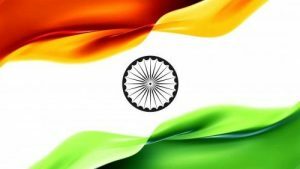 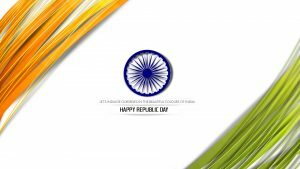 At the right side, there is an abstract tricolor or Tiranga decoration which consists of an Ashoka Chakra and Indian flag colors (saffron, green, white, blue).